Pediatric dentistry is that branch of dentistry that provides both primary and comprehensive preventative and therapeutic oral health care for infants and children through adolescence, including those with special needs. The pediatric dentist will guide the child from his primary teeth dentition to his adult dentition ensuring good oral hygiene habits. The dentist will also diagnose any jaw abnormalities or malocclusions (bite problems) and refer them to the orthodontist or maxillofacial surgeon. The first teeth to erupt into the oral cavity occur approximately at 6 months. 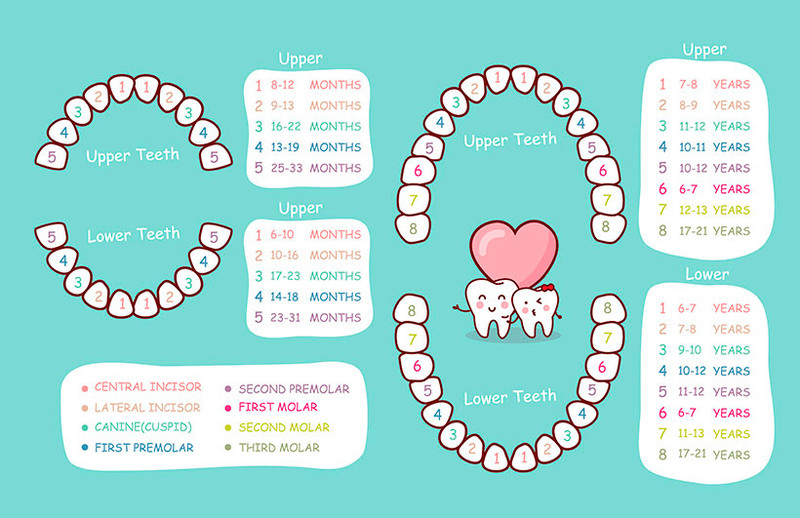 They complete the eruption of their first set of teeth (deciduous) by age 2-3 years. When the child reaches around six years of age, the deciduous teeth are slowly replaced by their adult teeth until age twelve. This is a wonderful time for children to have a trusting and healthy relationship with the dentist. When should kids start learning to brush their teeth? Usually, parents should be responsible for taking care of their child’s oral health when they are infants. This includes carefully brushing their teeth with a special toothpaste. 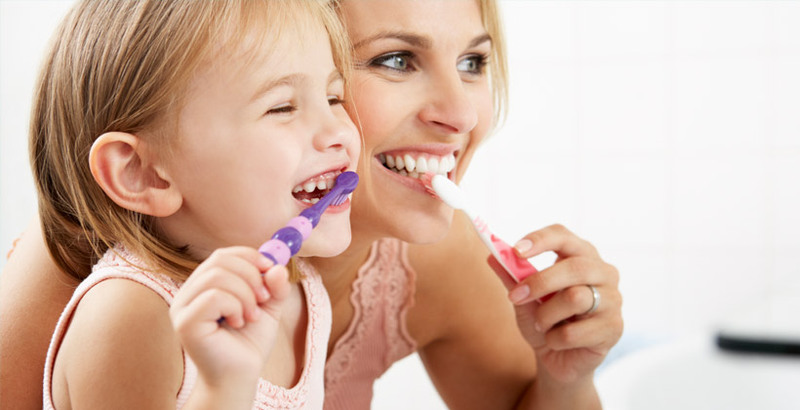 When the child is approximately 6 years old, they should be able to brush their own teeth with parent’s supervision. What should I do if my child has an accident and loses his/her tooth? Most importantly, don’t panic! Accidents happen. If the child loses one of is/her tooth, you should attempt to clean the tooth carefully with saline or water and put it back in place. If that is not possible, submerge the tooth in saline or milk and quickly come visit us. Please call in advance if possible so that we can start preparing for your child. Once you have arrived, we will carefully examine your child and ensure that the highest standard of care is given in attempt to “save” the tooth. Can deciduous teeth develop dental caries (decay)? Deciduous teeth can develop dental caries the same way adult teeth do. Furthermore, if the caries are not treated in a timely fashion, there is risk of affecting the adult and permanent dentition. Caries in temporary teeth can be treated with esthetic material, but usually with metallic crown. This crown may not be esthetic as most restoration, but it will maintain function and preserve space necessary for the eruption of permanent teeth. Otherwise, overcrowding and other malocclusion would occur. It is important to take care of caries in temporary teeth as they can affect adult dentition.